Airtel has announced that it has launched postpaid 4G LTE services in Pune. This is the first 4G service in the state of Maharashtra. Before this, Airtel had rolled out LTE in Bangalore and Kolkata. Earlier in the week, Airtel along with Qualcomm and Huawei had launched the country’s first TD-LTE capable smartphone – The Huawei Ascend P1 LTE. Airtel plans on bringing this device to the consumers in the near future allowing for telephony services to work on a 4G network. Airtel has announced some interesting 4G plans for its consumers in Pune. It has four plans called Break free, Break free max, Break free ultra and Break free ultimate. The plans start from Rs 999 per month for 6GB of data to Rs 2999 for 30GB of data. 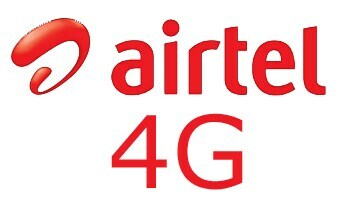 Additionally, Airtel is also extending its Smart Bytes program to the 4G service. Smart Bytes allows users to extend their subscribed speeds for more data. Users can extend from 3GB for Rs 600, 5GB for Rs 875 and 10GB for Rs 1,500. As far as the LTE dongles are concerned the indoor CPE Wi-Fi router will come for Rs 4,999 and the LTE-Multi-mode dongle will also cost the same. Airtel is also bundling a number of value added services like the Airtel Broadband TV that will allow users to watch TV on the 4G LTE network. Airtel will start with 35 live TV channels, 5 video-on-demand channels and 7 full movies. Airtel plans to increase the number of channels to 76. The service will be offered as a free trail after which users will be able to subscribe to a monthly service of Rs 150 or a weekly pack of Rs 49. Likewise, Airtel will also have a games on demand channel. There will be seven plans starting at Rs 5 per day for playing 30 games going up to a plan costing Rs 199 per month for 350 games. Airtel will also have a movie pack for Airtel movies. Their current movie library comprises of 1250 movies. This service will cost Rs 149 per month.